It was destroyed by vandals in the night a month later but no-one was arrested. 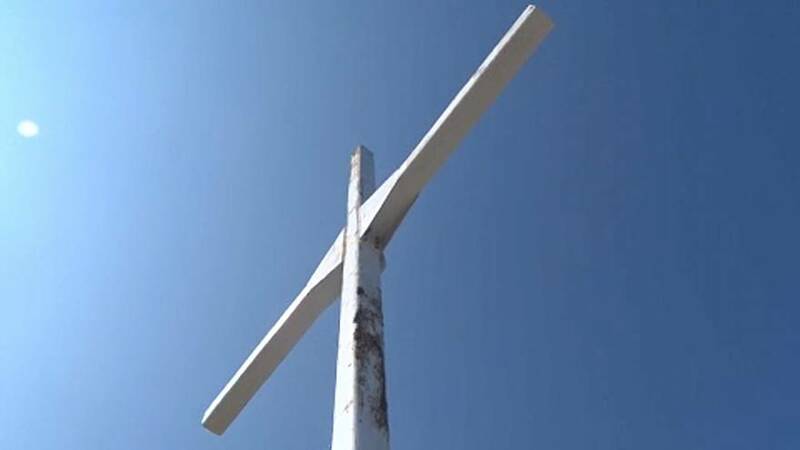 Some locals later demanded the cross be restored, including the far-right "Free Citizens" party, which argued in a statement last month that the "Syriac mass, which ravages our country's power, has attained its highest goal: the total destruction and extinction of every Greek and Christian element of our Greek Orthodox culture." 'I was shocked'—what's it like in Lesbos' Moria refugee camp?